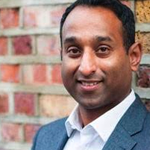 Hiren Patel Podiatrist | Breathe London. The question I get asked most is “Why did you become a Podiatrist?”. Well the truth is when I started this journey I had no idea. All I knew was that I was fascinated by the medical field and knew i wanted to help people in any way I could, and yes for those who remember “Operation” was my favourite game! Lucky for me I definitely chose the right profession, and 18 years on amazingly I still get up looking forward to who I will meet and ultimately how I can help them become pain free. This has become the ethos of Flawless Feet Podiatry and for all the fantastic people that work within it. I am lucky to have an amazing wife Reena and two crazy boys Aarush and Nishil, who certainly keep me active, and push me everyday to do better. I love my sports so you will often find me on the golf course or exercising. We are fully committed to Flawless Feet Podiatry & Laser Clinic; and our aim for all our practices is to provide a high quality and reliable podiatry service for his patients within a relaxing and friendly environment. We are dedicated to the constant improvement of our skills through Continued Professional Development to ensure that our patients are treated with the most current techniques and knowledge our profession can offer.